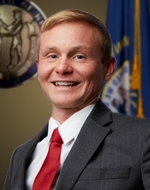 Garrett Gruber is a native resident of Livingston County, growing up in Smithland, KY. Garrett graduated from Livingston Central High School in 2007 before moving on to Murray State University where he earned his bachelor's degree in Integrated Studies. Judge Gruber served 11 years in the Army National Guard and is proud of his work on Kentucky Senate Bill 117 (2017) which helps veterans transition more easily into teaching careers. The judge-executive is responsible for running the executive branch of the county, including overseeing day-to-day operations and managing its departments and personnel. The judge-executive also has a vote as a member of the Fiscal Court-the county's legislative arm. 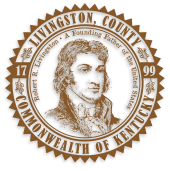 The Livingston County Fiscal Court has five members-the judge-executive and four magistrates, each representing their own geographical district. The Fiscal Court is responsible for handling the budget and passing ordinances. Many of the judge-executive's powers require the Fiscal Court's approval (through a majority vote). Ideally, the judge-executive job has another critical component-serving as the county's ambassador on the local, regional, state, and federal level. In this role, he or she establishes and maintains relationships with other agencies and governments. Detailed and specific duties and functions of the Judge Executive can be found in KRS 67.710.